So what is this invention, this medium, that has evidently caused us fits throughout the ages? Is it a tool? A toy? A myth? A medium is vehicle for communication. It’s a transport for the expression of ideas… a means for transmitting a message from the sender–the person who wants to express something–to an audience–those who might receive that message. This could be an audience of one, or an audience of thousands, or even millions. Even as a medium transports a message, it also shapes it, and manifests in that message properties that are unique to that given medium. Likewise a medium lends the message its own limitations. The stark lines of a rock chip scratched against a cave wall, the gilded manuscripts of the thirteenth century, an analog broadcast beamed through the airwaves… each has its strengths and its limitations. To master a given medium it’s critical to learn what those strengths and limitations are. Which is precisely why the Internet–and in particular, the Web–is such a mess today. It’s not immediately apparent how a new medium is best used. 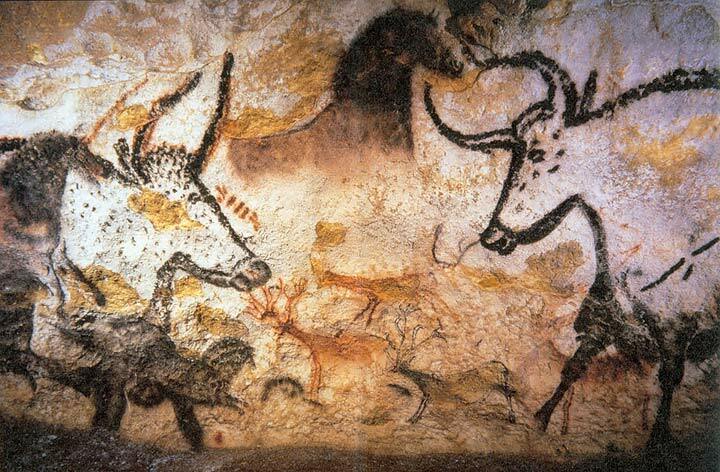 If our early cave artist was given a paintbrush would he paint a prehistoric Mona Lisa? More likely he’d try to use the handle to scratch on the walls. It’s no surprise, then, that early television broadcasts were little more than televised radio plays, or that today’s web sites try so hard to look like television screens with hyperlinks. We’ve got a new set of tools, but we’ve yet to master the techniques required for the medium. For that matter, we’re still trying to discover what they are.